Italian santiatry ware manufacturer Scarabeo Ceramiche is developing a new line of above-counter ceramic kitchen sinks that are more decorative than traditional products. The company is “using trials and development to open the way to an unexplored market with the UP ceramic kitchen sink,” it says. 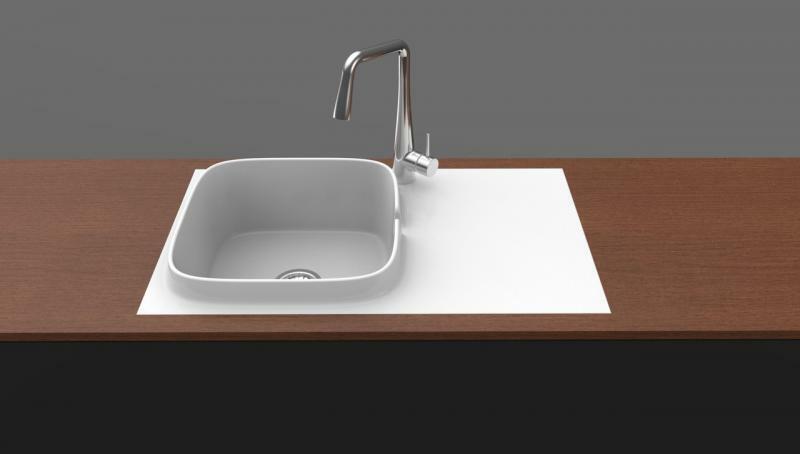 The sink has raised edge between the product body and counter surface area and features a gap that breaks the line of the edge and allows water that falls on the extended countetop to flow towards the center of the sink drain. 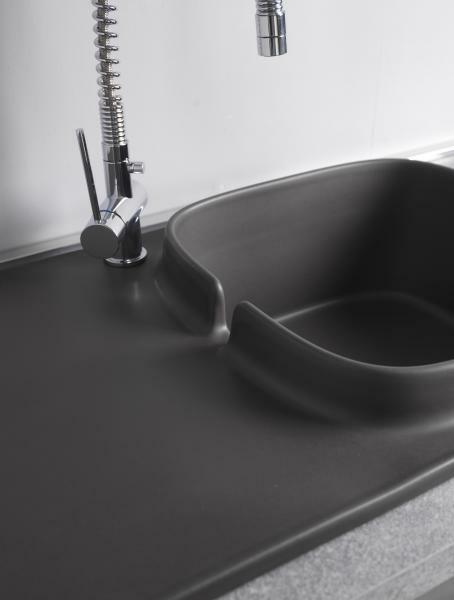 Moreover, the sink is equipped with Scarabeo’s Bio System, an antibacterial material that ensures the ceramic is hygienic and easy to clean, the company says. 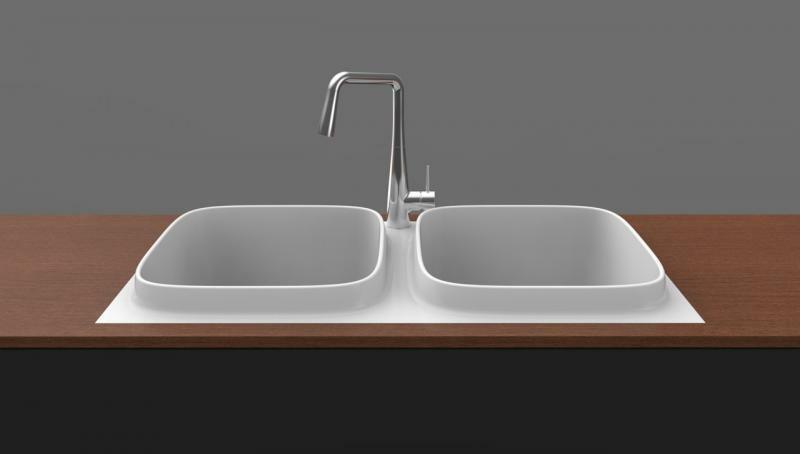 UP will be available in two colors and in a surface-mounted or a recessed, flushed version with one or two basins.